Mariah is a Social Impact Fellow at the Center for High Impact Philanthropy. She currently manages the delivery and development of education programs, along with supporting strategic partnership work. Mariah joins CHIP from the Wharton School, where she was Program Manager for the Barry & Marie Lipman Family Prize. In this role, she implemented the selection process for an annual global social impact prize and managed the work and leadership development training of the Lipman Prize Fellows. Prior to joining Penn, she worked in grantwriting and major gifts for the Science History Institute in Philadelphia and as an AmeriCorps VISTA at the United Way of Greater Philadelphia and Southern New Jersey. 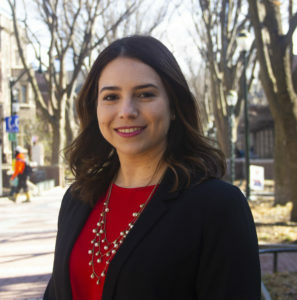 In her free time, Mariah volunteers as a steering committee member for the Philadelphia chapter of Emerging Practitioners in Philanthropy (EPIP) and serves as a mentor for middle schoolers through Spark. She holds a Master of Science degree in Nonprofit Leadership from the University of Pennsylvania and a BA in History from Haverford College.